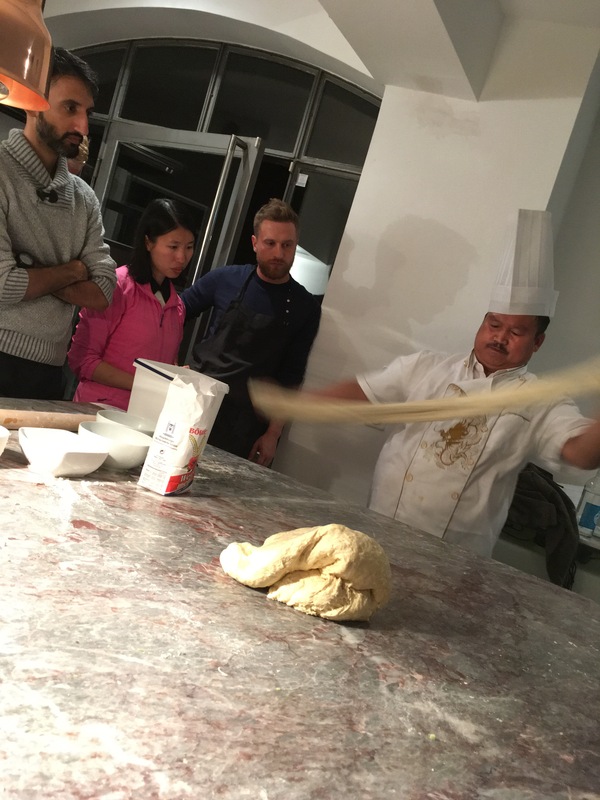 A noodle workshop at the Contemporary Food Lab! You might already know that I’m a big fan of Berlin’s Contemporary Food Lab. They run great programs and workshops; I’m all for learning and dialogue with other food enthusiasts. This time they had a workshop with a noodle master coming all the way from Beijing. I was pleased to have secured a spot in their noodle workshop with Master Wu. Icing on the cake was finding out that my friend Ash of Chi Fan would be attending the same workshop. For introverts like me, workshops are more fun with friends. Here’s my write-up and photos of the workshop. 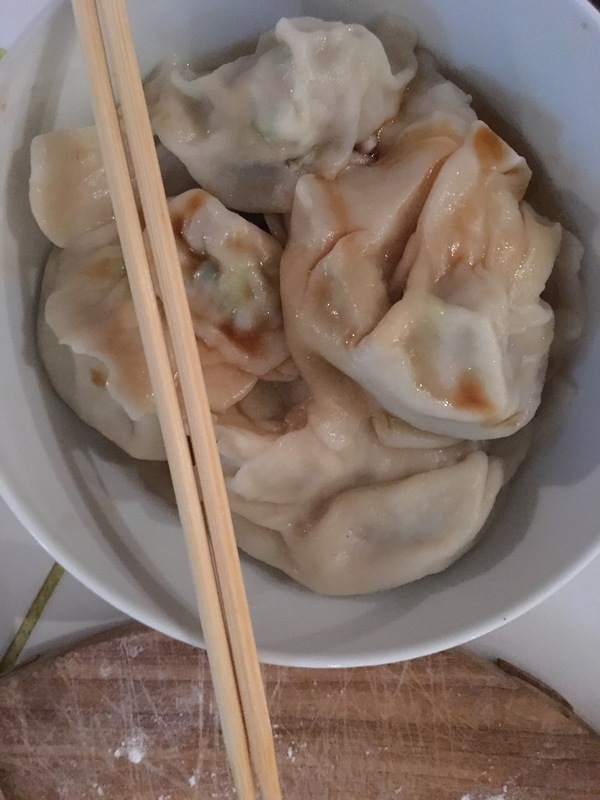 I also included a list of jiaozi and lamian resources at the bottom of this post. The noodle adventures of Master Wu! The evening workshop kicked off with a Q&A session with Master Wu. He is originally from a village in the Gansu province in northwest China, whose capital is Lanzhou. Lanzhou is famous for its beef noodle dish, commonly known as Lanzhou beef noodles and incorporates lamian in the dish. Prior to learning noodle-pulling, Master Wu worked as a shepherd in his home village, as a beer delivery guy and ran several other businesses. In 1999, Master Wu was in charge of the lamian section in the student canteen of a Beijing university. In 2012, he opened his first restaurant and has since opened and managed more restaurants as well as teaching the art of noodle-pulling. Who was your noodle teacher? My brother-in-law! Understanding the combinations of sauces and fillings. Typically the dipping sauces in Northern China are vinegar + raw minced garlic. In the south, closer to Hong Kong, it’s often vinegar + soy sauce. Chilli oil is to personal taste. Learn – practice – until you can do it with your eyes closed and you can improvise. Most important lesson? Ratios of different ingredients. How long it took to get a feeling for the noodles? Trial and error about half a month, for perfecting the technique of pulling and the learning how it should feel in your hands, for the different stages. However, you never know how many people will come so nothing is pre-made, and you have to produce on the spot. This is about 6 months learning time, to get into a good production sprint rhythm. 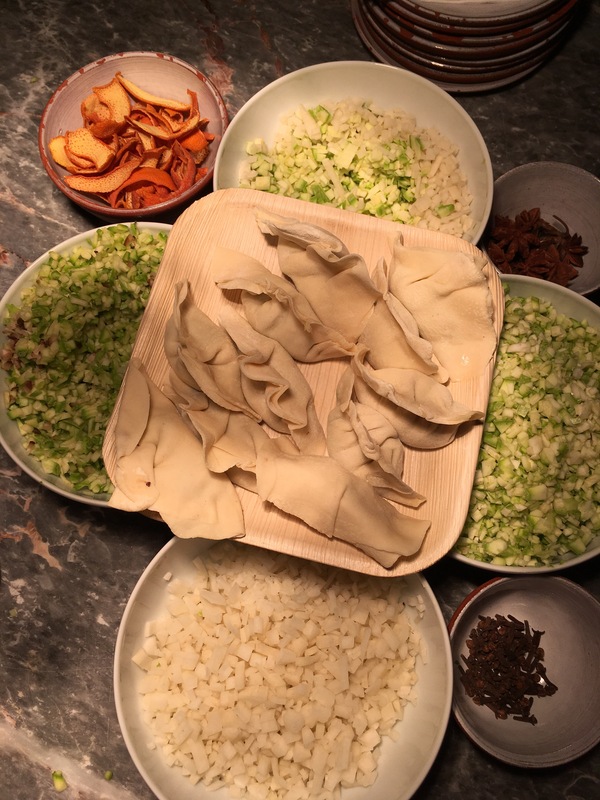 Do you know the difference between dough for lamian and dough for jiaozi? Jiaozi is a Chinese stuffed dumpling that’s nowadays eaten all year round for breakfast, lunch or dinner. Jiaozi is one of the typical dishes served at the CNY (Chinese New Year) table, along with taro cakes, noodles (uncut, for longevity) and mandarin oranges (for luck). Jiaozi can be boiled and served in broth, steamed or pan-fried. Therefore, the dumpling “skin” needs to withstand the cooking method; this also dictates the dumpling size. Too large and either the filling will be undercooked or the skin will fall apart. It’s a ritual for families to get together and make jiaozi for CNY; it’s a communal effort to fold that many. I do this fairly often with my ethnic Chinese friends, whether Indonesian, Singaporean or Taiwanese. 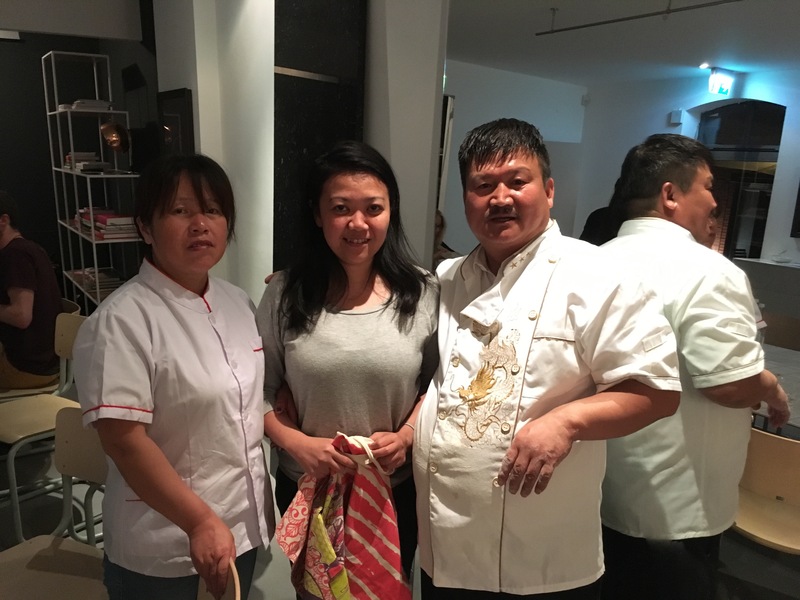 For example, this year we celebrated CNY at Meng’s and our team of 8 “dumpling helpers” folded about 400 hundred jiao zi to feed the 20 or so friends that our hostess, Meng, had invited over. Jiaozi dough is simply flour and water, at a ratio of 2 to 1, plus about a tenth of salt. Mix the flour and salt first, and make a well like in the photo above. The water should be warm, about 85-90C, and added gradually. You’ll know when the dough “feels right” in your hands, something like “touch memory”, which experienced bakers, noodle pullers and pasta makers have, I’m sure. Roll into logs, cut the logs into small squares and then use a rolling pin to roll into circular shapes. Stuff right away, so that the jiaozi wrappers don’t dry out. Fillings can be meat or vegetarian. My favourite combinations are beef and water chestnut, and my mom’s special mix of minced meats with ginger and mushroom. The key is to mince all the filling ingredients very finely. It was great to learn the way to fold jiaozi. I hadn’t quite gotten the hang of it, so my plate of dumplings had some that were flapping with excess “flap” and some that were tighter and neater. I had learned a couple of other ways to fold dumplings from my mother’s kitchen. 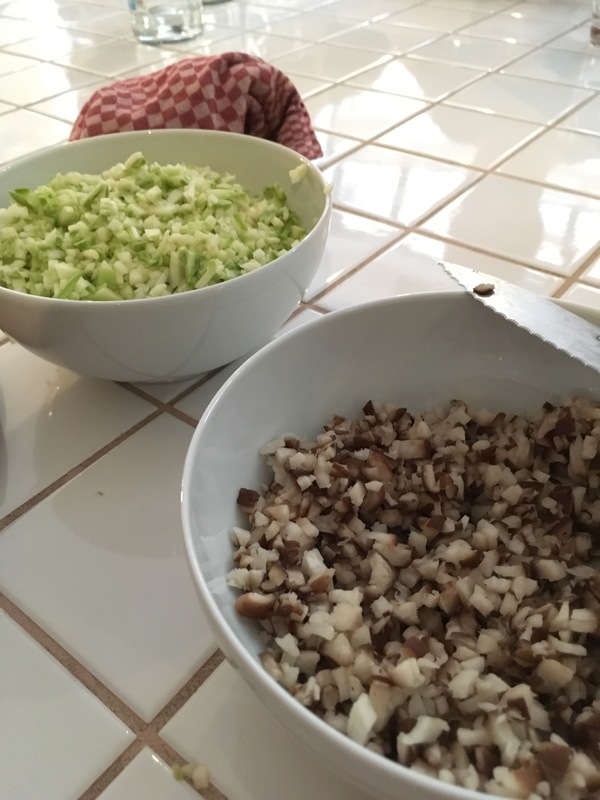 My mother makes the Indonesian dumplings, pangsit and wantan, and I used to spend weekends rolling them up for her dinner parties for whatever diplomatic or parliamentary envoys she had invited over. 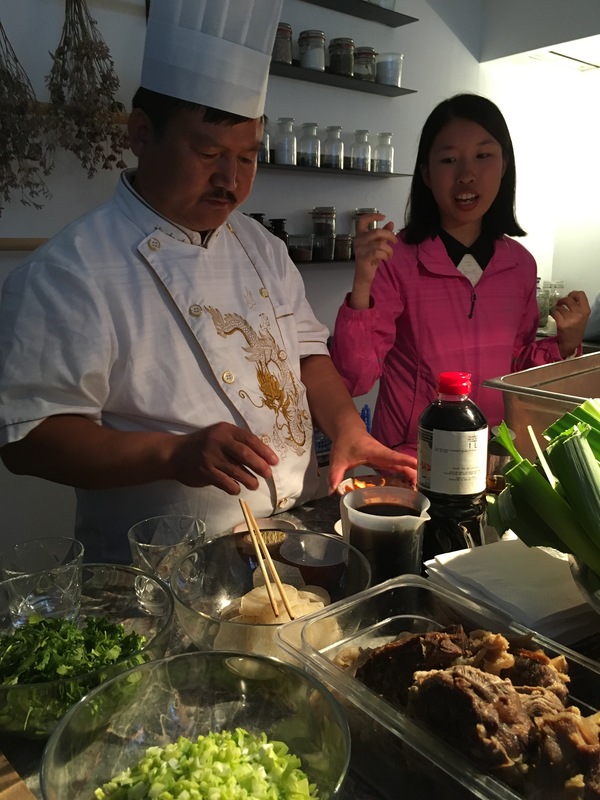 In the workshop, we had boiled jiaozi, served in broth, and usually with a simple condiment of Chinkiang vinegar and red chilli oil. I’ve seen many non-Asians drizzle and drown their jiaozi in soy sauce; in general, not just in the workshop. The whole “soy sauce soup” does make me cringe. Edit addition: for steamed and pan-fried jiaozi, usually there’s an accompanying dipping sauce served in a small dish plate, similar to the soy sauce as a dip to sushi. My favourite dipping sauce is Chinkiang vinegar, chilli oil and very occasionally a dash of sesame oil and soy sauce, depending on the jiaozi filling. To me, Chinese cuisine has some of the most subtle flavour interplays, something that is easily overwhelmed by the stronger flavours of soy sauce. Especially since the range of soy sauces we get in Europe is fairly limited, leaning towards the salty. In Asia, specifically for the Indonesian table, there are different grades of soy sauce, ranging the whole spectrum from sweet to salty in various viscousness and for cooking or for table use. Dumpling diva Ash of Chi Fan Berlin mincing zucchini. Silly me, I brought small knives instead of my chef’s knives. No matter, we managed to mince finely. The variety of fillings all laid out. My plate of folded dumplings. Mmm, perfection in a bowl. Was missing the Chinkiang vinegar and chilli oil though. Master Wu makes hand-pulling lamian look so easy! Lamian is a type of Chinese noodle: la means pulled and mián means noodles. This method involves twisting, stretching and folding the elastic dough into strands. In the space of a few seconds, the strands exponentially grow from 2, 4, 8, 16 to 32 strands. Master Wu makes it look easy but to stretch and twist the noodles to deliver a consistent shape requires skill and hours of practice. There was an Italian participant in the workshop and perhaps more than the rest of us, she was really amazed that all this was achieved without any sort of mechanical equipment like pasta machine. 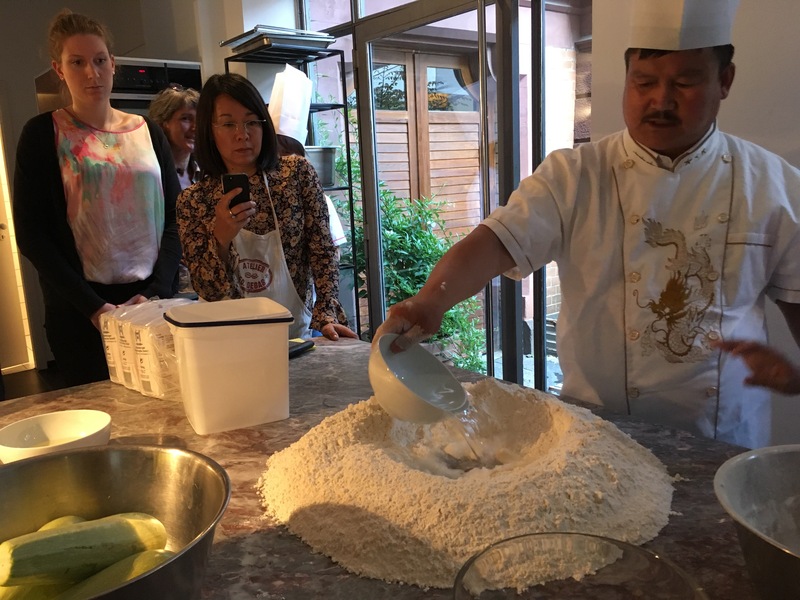 Lamian uses flour, water and lye. 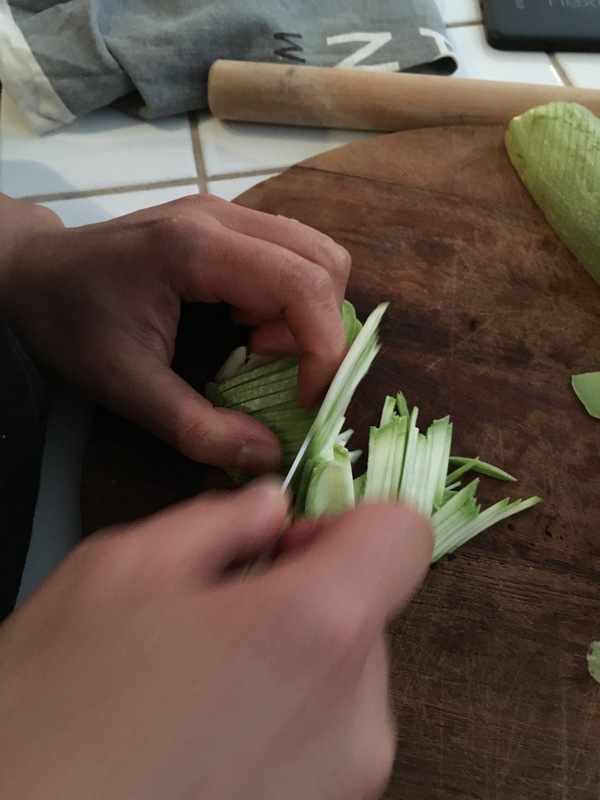 Lye is what makes the noodle chewy and elastic without being rubbery. It also adds a yellowish tinge to the noodle. Ramen noodles is another type of noodles that uses lye (powder or lye water). 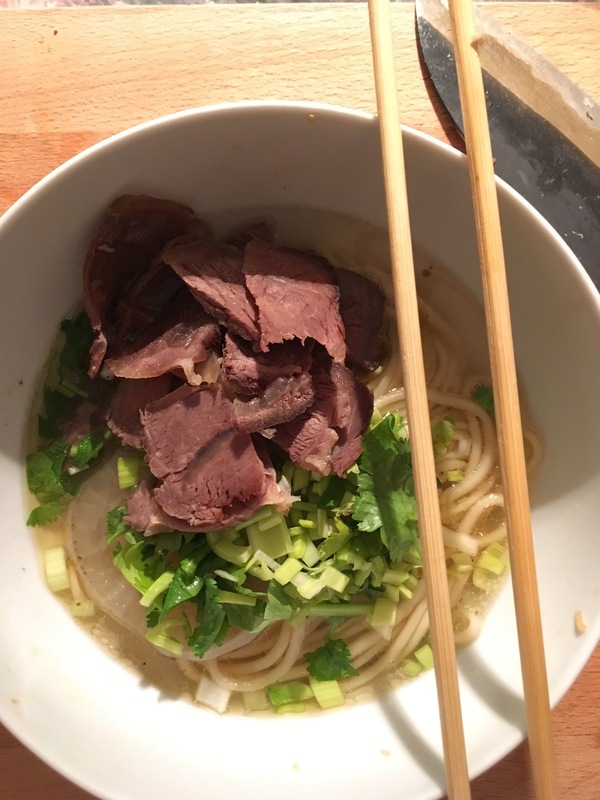 Once pulled, it’s thrown into water to boil, and is served in a beef broth with slices of boiled beef, chopped parsley, white radish and red chilli oil. Mmm, delicious! What goes in the broth include: beef on the bone (the marrow is hands down the secret ingredient to a yummy broth), star anise, fennel seeds, cloves, black cardamom, orange peel, garlic, ginger, black and white pepper, and salt to taste. Ideally they’re all whole spices and not powdered versions. Your broth in the end should be a clear soup and not a cloudy liquid. A great way to spend a Wednesday evening! After all that work, we eventually sat down to a communal dinner to enjoy the fruits of our labour. Was great to socialise a bit and get to know the others: how they came to be there, how they got into food and cooking, whether they were chefs for a living. Definitely keeping in touch with Giulia and Felicitas via Instagram. Jiaozi recipe on ChubbyHubby: I’ve been reading ChubbyHubby forever, ever since Aun Koh first started I think! They’re a trusted source for Southeast Asian recipes and this particular recipe is by Vivian Pei. 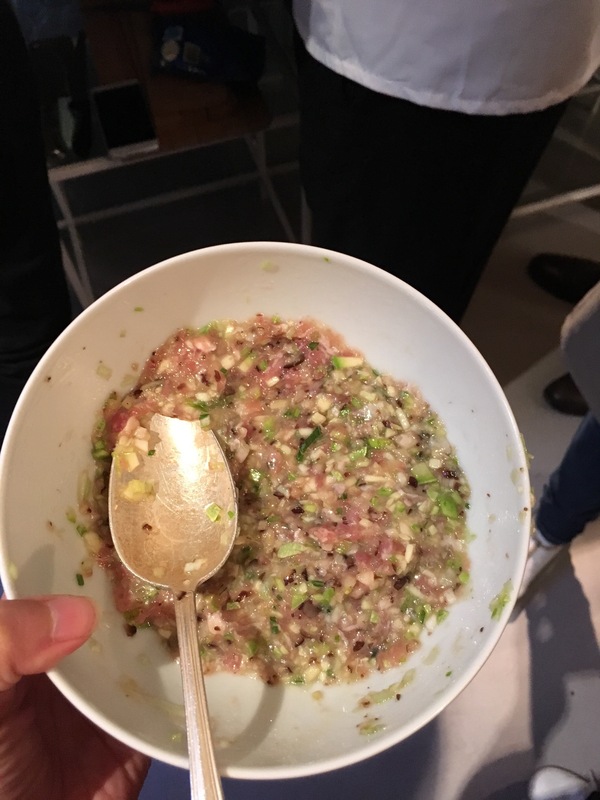 Jiaozi recipe on BeijingTaoTie: unfortunately no longer blogging, but recipe is quite authentic, close to what Master Wu listed in the workshop (and his translator didn’t translate the MSG part). Lamian recipe on TheFoodDictator: the broth recipe is the closest I could find to the ingredient list Master Wu mentioned in the workshop and he includes instructions on how to convert baking soda to kansui (similar to the lye powder that Master Wu used). Spices and herbs you can get at the larger Asian stores in Berlin like Asia Mekong on Hackescher Markt or Alexanderplatz, and GoAsia on Turmstr/Moabit. If you’re in Berlin and interested in participating in future CFL workshops, go subscribe to their newsletter via their website or keep tabs on upcoming events via their Facebook page.